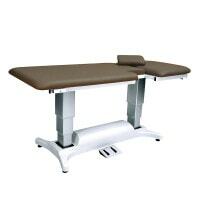 ECG tables provide comfortable positioning for patients during electrocardiography exams. 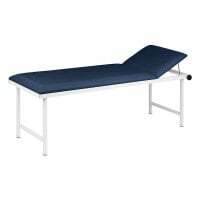 In our online shop, you can purchase ECG tables and echocardiography tables with and without upholstery cutouts at affordable prices. 2.199,00 EUR* Not ready for shipping. Reserve today and we will ship as soon as possible. from 2.695,00 EUR* Not ready for shipping. Reserve today and we will ship as soon as possible. from 2.489,00 EUR* Not ready for shipping. Reserve today and we will ship as soon as possible. Couch roll holder for ECG tables with a width of 65 cm. from 69,00 EUR* Not ready for shipping. Reserve today and we will ship as soon as possible. 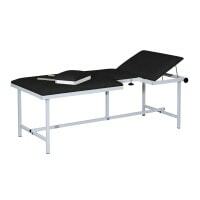 The category ECG Tables is one section in our assortment of medical tables and couches at Praxisdienst, which includes massage tables and PACU tables, among others. 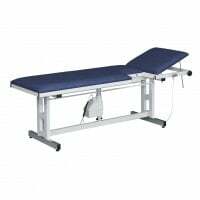 In this category, you will find a large selection of ECG tables with which you can carry out a resting ECG in your practice or hospital. ECG tables are characterised by a particularly wide lying surface that allows the patient to lie comfortably on his/her back with the arms slightly spread, allowing the ECG electrodes to be easily attached to the chest and hands. 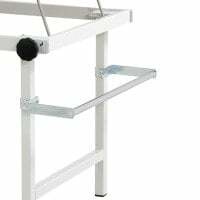 Furthermore, you will also find echocardiography tables that have an upholstery cutout at chest height, making them ideal for transthoracic echocardiography. 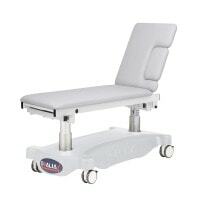 Because the patient is forced to withstand uncomfortable positions for a longer period of time during echocardiography examinations, all of our available ECG tables and echocardiography tables are equipped with extra thick upholstery to offer your patients the highest level of comfort during long exams. Naturally, you can order all of our ECG tables in a comprehensive selection of colours to match your practice furnishings. Find your ECG tables and other modern practice furniture from Praxisdienst–your supplier of medical furniture! In addition to ECG tables, you will also find the appropriate ECG machine for your surgery or hospital in our online shop.